In order to be selected, candidates must meet the following admission criteria. A diploma equivalent to a Dutch VWO diploma, including biology, chemistry, physics and mathematics (or demonstrable pre- knowledge at Dutch VWO-level in all four areas). If you want to explore the very essence of human beings, to understand the biology of the healthy human body and the onset of disease, then Biomedical Sciences is the programme for you. You will learn about human biology, and how to apply this knowledge in scientific research to medical issues surrounding health and disease. There are still so many diseases and conditions for which we have no solutions. So it is all the more important for us to expand our knowledge of how exactly our body works. Accordingly, you will study this at every level, from molecules to human populations. VU Amsterdam means looking further. In addition to your training as an academic expert in human biology and in molecular biology, you will also learn how to examine biomedical issues using a multidisciplinary approach. Based on Vrije Universiteit Amsterdams Human Health & Life Sciences theme, you will develop both the biological knowledge and applied skills that you will need, as a biomedical scientist, to make a difference at the cutting edge of biomedical science. The programme starts in the first year with an introductory course in which you will get acquainted with the field of biomedical science and acquire basic academic competences that you will further develop over the entire duration of the programme. Courses offered in the first year cover basic concepts, such as genetics, cell biology, immunology, and evolutionary biology. In the second year you will explore specialization areas in the biomedical sciences, such as neuroscience, medical pharmacology and oncology. There is also a lot of freedom to choose your own direction and broaden your horizon through elective courses offered in all years, a 30 EC minor in year 3, and a four-month practical internship in one of the many research or clinical departments at VU Amsterdam or VU Medical Center, or at another university or research institute of your choice. You will be personally trained by top lecturers in the field of Biomedical Sciences research. These experienced lecturers are from VU Amsterdams Faculty of Life Sciences and from the VU University Medical Center. Biomedical Sciences is a wide-ranging programme with a strong academic background. This is the ideal preparation for you to explore issues at greater depth in a Masters programme. You will also have a wide range of job options once you have graduated. As knowledge creators, biomedical scientists can design and implement research projects, give presentations at conferences at home and abroad, collaborate (and compete) with counterparts around the world, and much more besides. As a knowledge translator, you will be able to express your knowledge in terms that are readily understandable to others  as a lecturer or journalist, for example. So there is no lack of career prospects, indeed the field is enjoying a period of rapid growth and development. Competent biomedical scientists will only become more important as time goes on. Vrije Universiteit Amsterdam is an internationally renowned research university founded in 1880. 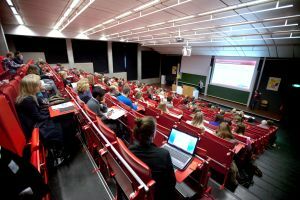 The university is located in the vibrant city of Amsterdam, one of the most multicultural cities in the world, with the largest concentration of students in the Netherlands and where English is the second language spoken. The campus is surrounded by one of the most dynamic and fast-growing business districts in the Netherlands hosting over 700 companies. With more than 23,000 students, of which 3,300 are international, the university conducts cutting-edge research into problems of major societal and scientific importance. 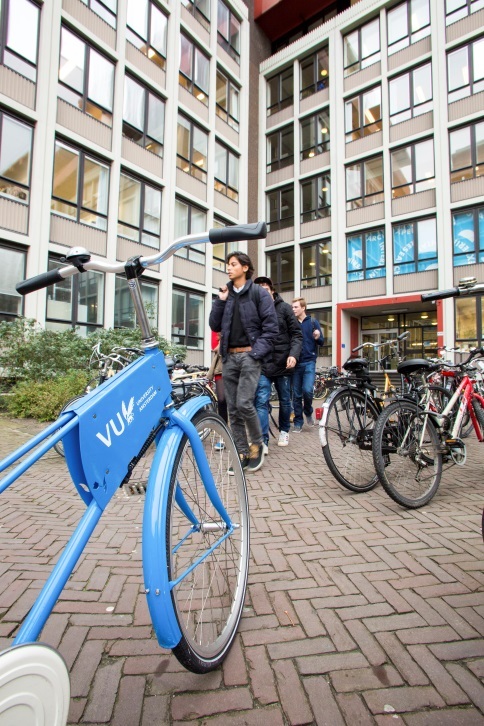 Vrije Universiteit Amsterdam distinguishes itself in research and education through four interdisciplinary themes reflecting a strong level of involvement in current societal issues: Human Health and Life Sciences, Science for Sustainability, Connected World and Governance for Society. As a student this will help you to look beyond the boundaries of scientific disciplines, to engage with society and to seek for tangible solutions for a better world. In addition Vrije Universiteit Amsterdam regards diversity, whether in culture, conviction, nationality or prior education, as source of innovation and progress, and hence as special strength.